Dan y Coed is one of Orbis’ most recent developments, a £5 million state-of-the-art school and residential facility for children and young people with complex needs associated with autism. 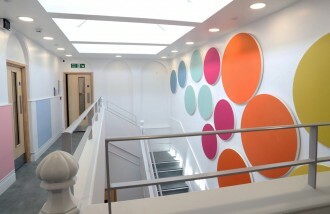 The newly refurbished school, which completes the first phase of the development, is now open in the main house and offers specialist education placements to children and young people between the ages of 5 and 19 with Autistic Spectrum Condition and complex needs associated with ASC. Phase 2, the new build residential accommodation, is progressing well on-site and is expected to be completed for occupation in early Spring 2019. RPA are acting for Orbis as project managers, employer’s agent, quantity surveyors and CDM principal designers on this development. The architects on the scheme are Austin-Smith:Lord and Andrew Scott Ltd are the building contractors.